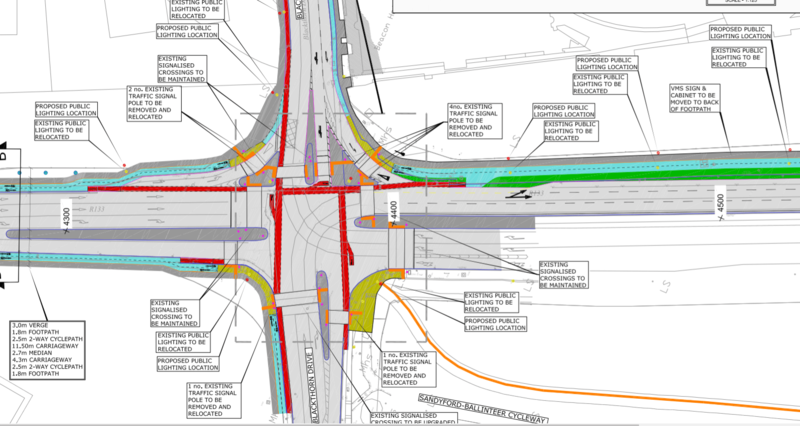 — Route includes 8-9 staggered crossings to travel 1km north-south. 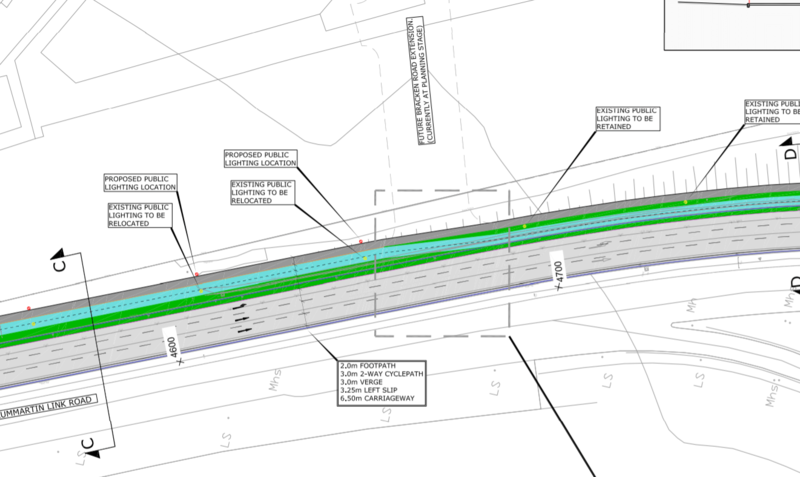 — Project includes new traffic lanes to/from the Bracken Link Road. 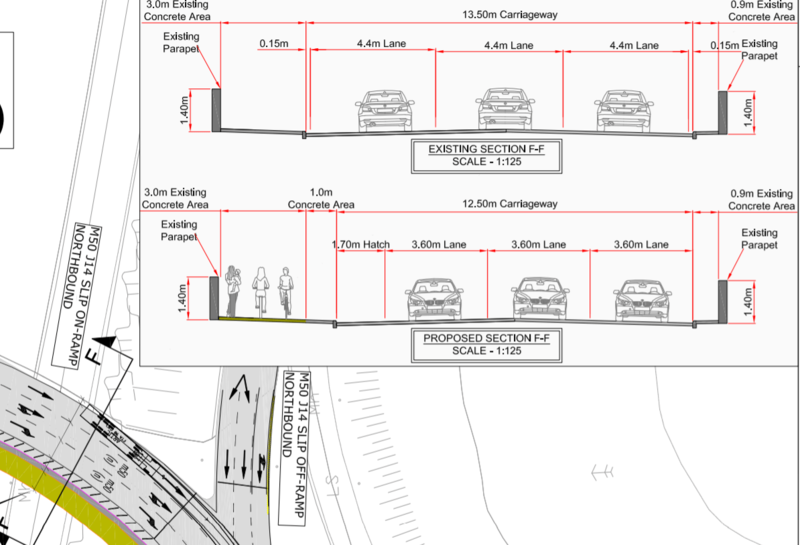 People cycling and walking will be expected to cross a large number of staggered junctions to travel just over 1km between the Beacon Hotel in the Sandyford business park and the Kilgobbin Road area of Sandyford Village south of the M50. 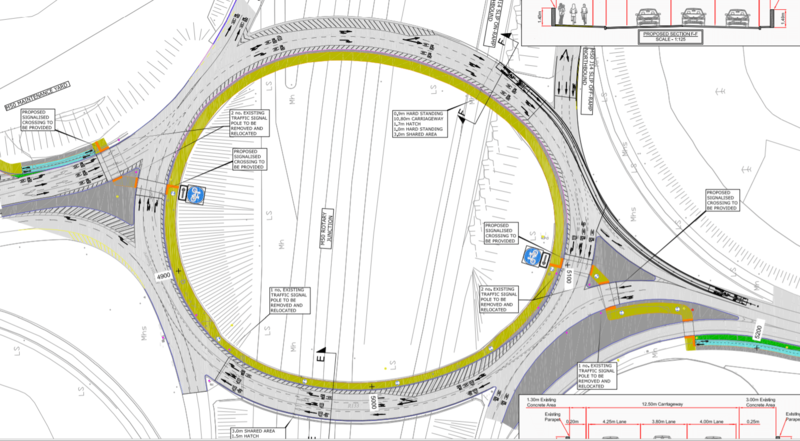 Dún Laoghaire-Rathdown County Council’s consultation page claims that the project is “In line with the requirements of the National Cycle Manual and the Design Manual for Urban Roads and Streets”. 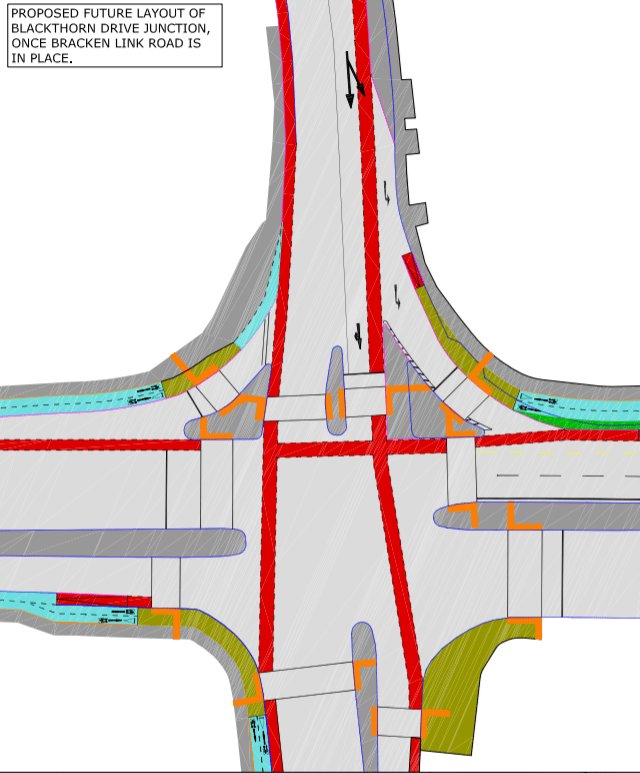 However, such does not appear to be the case, as staggered crossings and slip-turns are retained or newly created as part of the project, even away from the motorway. 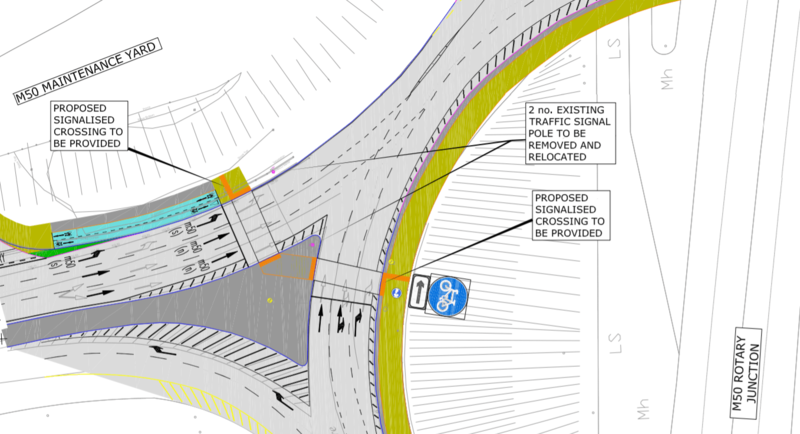 People cycling from one end of the project to the other could have to interact with 18 or more different shared areas designed for pedestrians — such shared areas are in line with the National Cycle Manual, but are disliked by cycling groups and disability advocates. 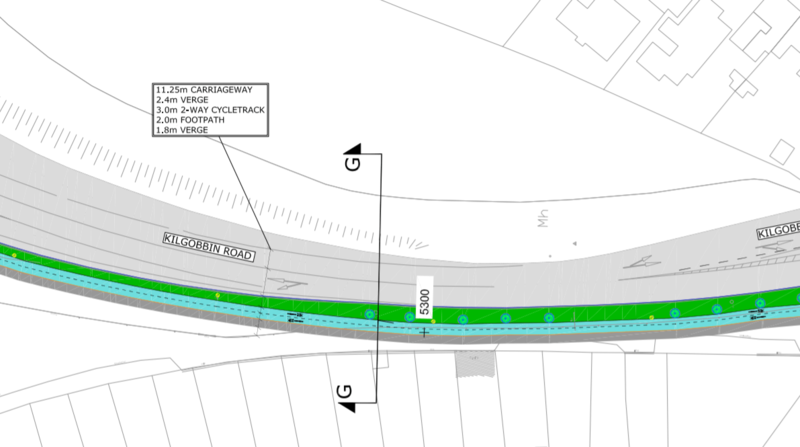 There are further slip junctions and staggered crossings at the junction between the Drummartin Link Road and Blackthorn Drive, and the junction between Junction of Kilgobben Road with Leopardstown Road and Hillcrest Road. 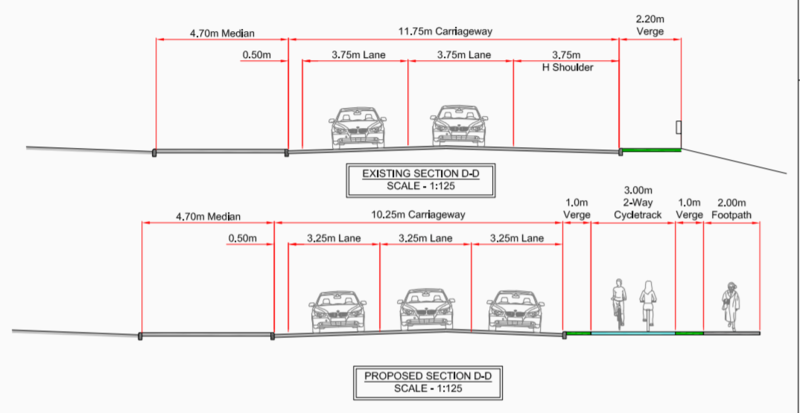 Overall the people traveling north-south from one end of the route to the other will be expected to cross 8-9 staggered crossings in just over 1km. 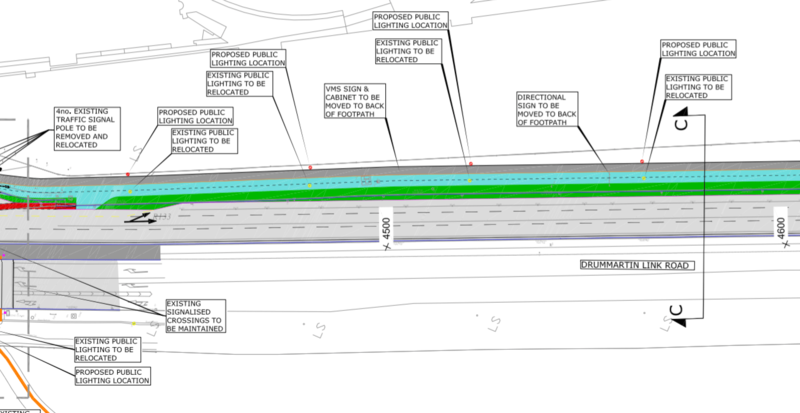 The project also shows hard shoulders converted into traffic lanes leading to and out of the planned Bracken Link Road, which we covered here. 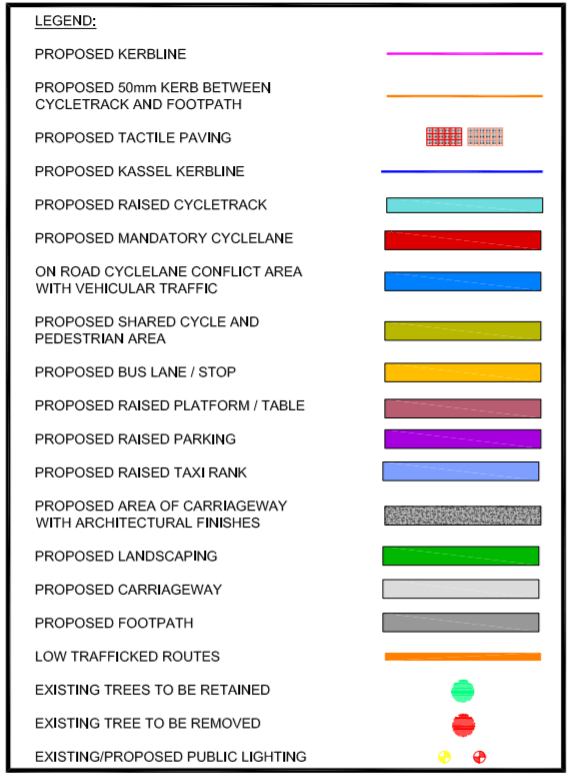 Closing date for the public consultation is Tuesday May 22, 2018 at 12 noon. 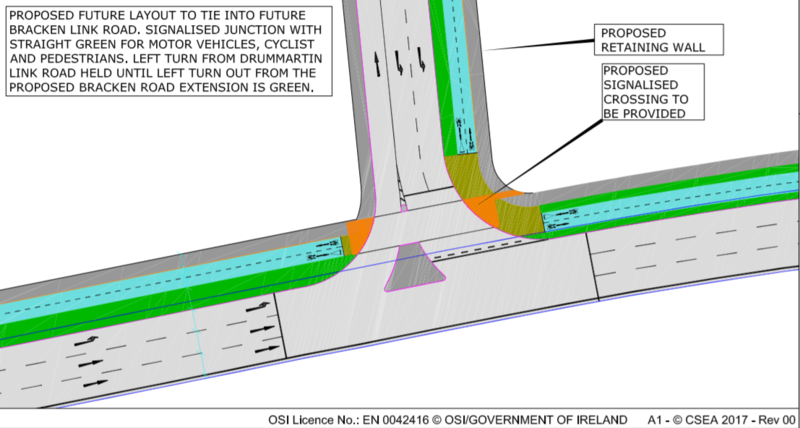 Details and a survey can be found on dlrcoco.citizenspace.com/. I accidentally left a comment about Blackthorn/Drummartin Link junction in someone else’s name, who hadn’t logged out of this computer. Not sure whether it’ll be published. 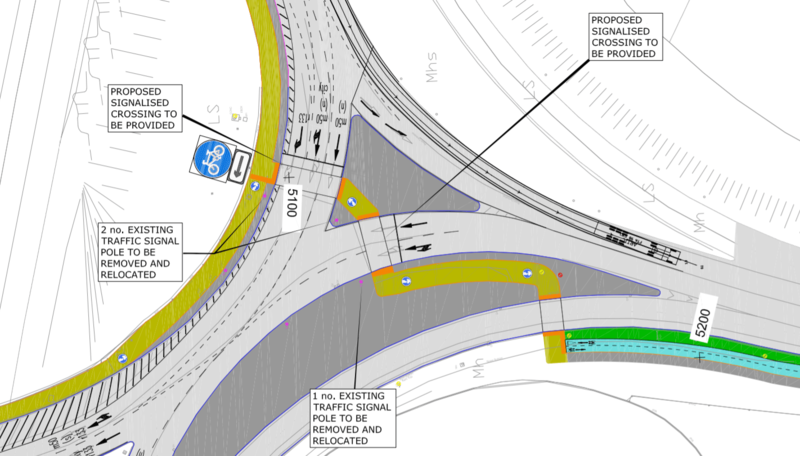 Anyway, looking at the illustration again, are the one-way cycle tracks at the junction going to become two-way? 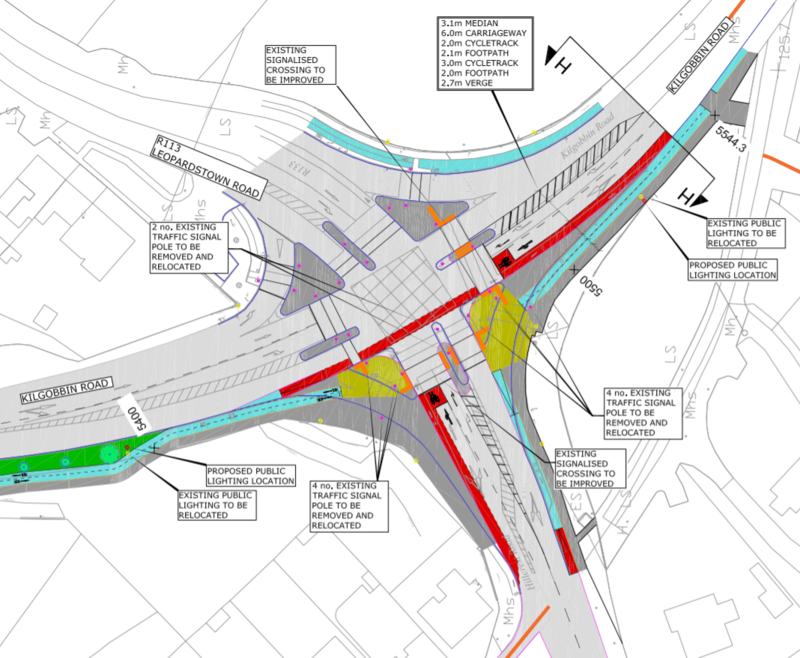 The Drummartin Link Road/Blackthorn junction doesn’t look very different from how it is now? Not that it’s all that welcoming right now.